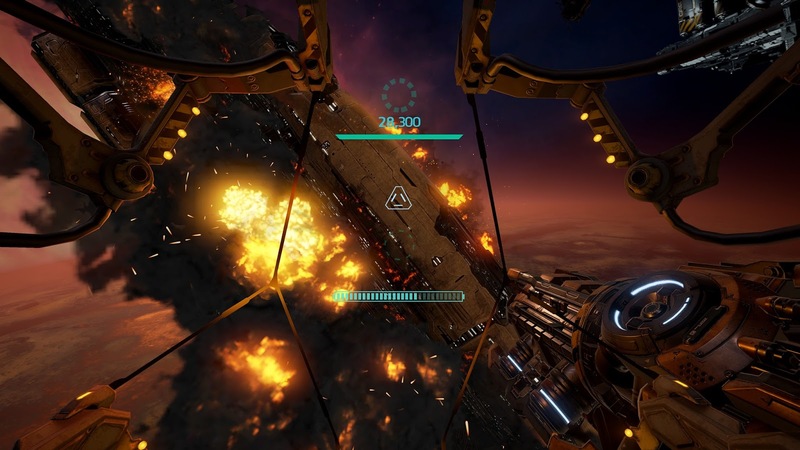 EVE: Gunjack is a turret wave shooter in the same EVE universe as Valkyrie. It’s one of my favorite games for the Samsung Gear VR. It’s now been ported to the HTC Vive and Oculus Rift. With the Vive and Rift version, not only do you get positional tracking, but you also have better graphics. For a limited time, the version on Steam for Oculus Rift and HTC Vive is on discount at 50% off (regularly $9.99 now $4.99)! The Steam version is compatible with both Oculus Rift and HTC Vive. HTC Vive users, please note that it is controlled by a gamepad or keyboard / mouse. Here is a link to the Steam store page.